When it comes to business communications services, we can do it all. With a complete range of products and services at your disposal, we can help you get your message out to customers, employees and vendors alike. Below is a sampling of the products and services we provide. To learn more about what we can do for you, contact one of our representatives today. Reach 10,000 Homes in either Plymouth, Northville, Canton~North, Canton~South or Westland, Livonia 48150, Livonia 48152 or Livonia 48154 for 3 cents per home. This program is a blanket saturation mail piece directed to 10,000 homes in one of our target areas. The cost is $300 for the first ad and $275 for repeat ads run consecutively in this same mailer. • Goes into mailbox untabbed with ads showing. • Oversize piece that stands out. 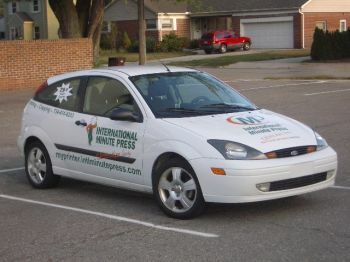 • Most mail carriers insert the mail in the Xpress Ad. • Beautiful High Quality Printing on Gloss Card Stock. • Everyone gets a front page. • You have no envelopes to rifle through or pages to filp. • No mailing list to buy. • Design and consultation of ad included. • 3 Mailings, any combination, paid in advance = $750. This is a $100 Savings. This is a $275 Savings - Must pay in advance. Each 10,000 Home Mailer runs in a 60 day cycle. For more information and to get started call 734.927.1252. Through the Post Office’s “Every Door Direct Mail” program, a business can now mail without the cost of getting and the annual renewal of a postal permit, the cost of obtaining a mailing list or paying to have individual addresses printed on the mailing item. Postage under the EDDM Retail program only is .145 cents per mail piece. You can target neighborhoods by selecting the Carrier Route the serve that area. Let us show you how to grow your business. Give us a call. Your existing customers are the first place to send Bulk Mail offers to. Do they know everything that you can do for them? Let us show you how to increase your bottom line without spending a fortune on postage. Exhibits: Click Here To See Other SizesIf you’ve been to a trade show, you know that you have a very brief time to catch your customer’s attention among the noise and bustle of a trade show floor. We offer several solutions to attract customers to your booth from a simple table top model to a more extensive, fully-customized floor model. Click on the photo link above to see our full line of displays. Once you’ve made your decision, email or call us to place your order. BannersBanners are a great way to advertise special events, attract customers or simply get the word out. Our vinyl signs are economical enough to be used once, yet durable enough to withstand several hangings. BrochuresOur design staff can take your ideas, words, or images and produce eye-catching promotional pieces. Or, if you already have camera-ready art, we can print or copy your document on a variety of stocks. Business CardsWe can design and print business cards that incorporate your personal or company identity. These can range in format from basic black & white to impressive, full-color designs. 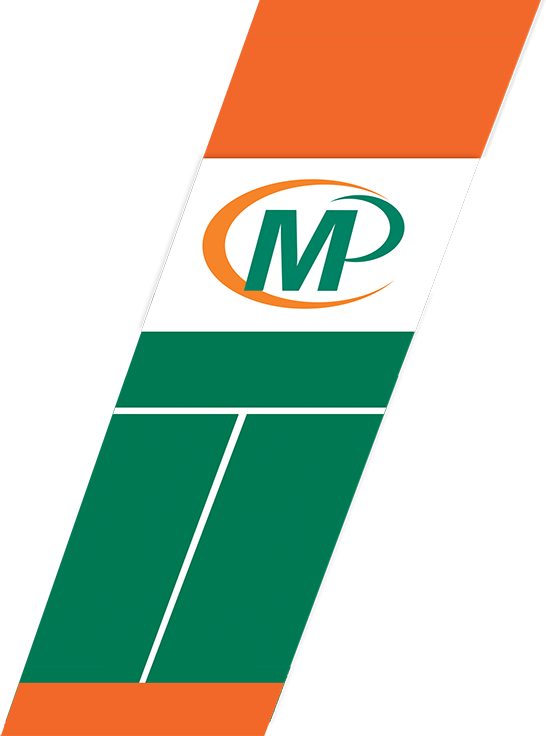 We can also create a corporate identity package for you, with an integrated system of business cards, letterhead, and envelopes. Business FormsWe can upgrade your business image with impressive designs for purchase orders, invoices, and other carbonless forms. In addition, we can produce medical or technical forms for specific uses. Company Logo Specialty ItemsSpecialty advertising pieces such as pens, mail opners, keychains, or calendars are an effective, affordable way to get your name out. 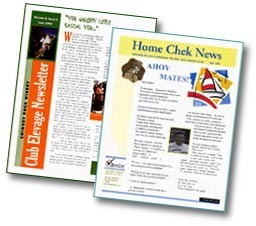 Direct Mail PrintingWe print a variety of products that are used for direct mail. We stock a large variety of envelope sizes and colors. We print postcards, flyers, letters, self-mailers, business reply cards, or anything else that you need to put into the mail. We complete the project by either using your mailing list or procuring a mailing list using your specifications and addressing the printed pieces plus applying barcodes and sorting for maximum postal discounts. 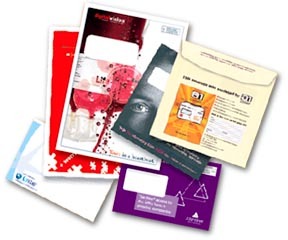 EnvelopesWe can design and print envelopes of all sizes and formats. These can range in format from basic black & white to impressive colorful designs. We can also create a corporate identity package for you, with an integrated system of business cards, letterhead, and envelopes. Holiday CardsHoliday cards are a creative way to keep in touch with family, friends, and business associates. They can be anything from simple black and white messages to a full-color photograph cards. InvitationsWe can design and produce invitations for weddings, graduations, or other events. Ask to see our sample catalogs. LabelsWhether you need mailing labels, price tags, or reusable static labels, we can help. We can produce labels of various shapes and sizes that adhere to almost any surface indoor and outdoor. LetterheadWe can design and print letterhead that incorporate your personal or company identity. These can range in format from basic black & white to impressive, colorful designs. We can also create a corporate identity package for you, with an integrated system of business cards, letterhead, and envelopes. ManualsOrganizing your information into a manual is an effective way to communicate with your audience. You can incorporate everything from basic black and white copies to full-color inserts and transparencies to custom designed index tabs and binders. Medical FormsWe can upgrade your business image with impressive designs for purchase orders, invoices, and more. In addition, we can produce medical and technical forms for specific uses. MenusThe look of your menu says a lot about your business. From your ideas and business image, we can design an eye-catching menu that does your product justice. We can also keep an electronic copy of your menu on file to make it quick and easy to update. Political Campaign MaterialsWe have a great deal of experience printing for political campaigns. Many products are available through us, including candidate brochures, palm cards, mailers, and many others. Promotional ProductsPromotional Products such as pens, mail openers, keychains, or calendars are an effective, affordable way to get your name out. Raffle Tickets/BooksWe offer fast turnaround of raffle tickets or raffle books for organizations that are holding fund raising events. We can customize the raffles with your logo and colors in both small and large quantities. All raffles are numbered and perforated and packaged for easy distribution. Self-Inking StampsWe can produce self-inking stamps of various sizes and formats, including return addresses, corporate logos, signatures, and other professional uses. Wedding InvitationsWe can create a memorable image for your wedding with an integrated system of wedding programs, invitations, reception cards, napkins, and much more. You can choose from our sample books or have our design department create a customized look from scratch. MailingsYour existing customers are the first place to send Bulk Mail offers to. Do they know everything that you can do for them? Let us show you how to increase your bottom line without spending a fortune on postage.